React isn’t a new tool, but it is one that constantly evolves, influencing web development in the process. One of the libraries that has really impacted React development is Redux. It introduced functional programming ideas like immutability and pure functions. This article introduces and summarizes some of the smaller, useful libraries that can change the way you develop with React, whether you use Redux or not. If you’ve been using React for a long time, these won’t be new to you. However, if you’re just getting started or looking for new techniques, these six libraries are helpful in solving everyday tasks. If you’ve started using stateless, functional components and higher-order components, this library is perfect for you. Until React fully optimizes functional components, Recompose provides a really useful method, pure(). It turns functional components into pure components, which means that it won’t be re-rendered if props are shallowly equal (as of React version 0.15, functional components are always re-rendered). Some other useful methods are branch(), which allows rendering different components based on condition, or compose(), that helps with multiple HOC composition. With these tools, you can dive deep into a functional programming style and make your components really obscure. They also help make components simpler and easier to understand. React works well when you make your state immutable. This allows you to optimize rendering. Redux even requires immutability, which in general is a good practice. One way to ensure immutability is to use Immutable.JS library. While Immutable.JS does contain powerful tools to manipulate immutable data structures, using it for simple operations feels unnatural and a bit awkward. Object Rest Spread, combined with an array spread operator, filter, and map operations, helps you write immutable code without using Immutable.JS. Reselect is another tool that works great with Redux. In the description, it even states, "Simple ‘selector’ library for Redux." Even though it was designed to be used with Redux, it doesn’t have to be—it can be used anywhere. Reselect is a memoization library, which is useful if you have a lot of Flux state data manipulation in components. If you design your Flux stores on data structures, rather than application views, your different views might need a different data structure. For example, you might store a category tree in a flat list in store, but need a hierarchical structure for easier tree rendering. If you do this on each render, it will be expensive. Reselect allows you to memorize these operations and only do them once. React is already friendly if you want to write unit tests. However, if your components become complex and renders have various third-party components, it’s hard to set up a testing environment to render your component deeply and then assert it. A much easier way is to use a shallow render and render only components under the test. React test utilities support this, and have helpers asserting results, but a much easier way is to also use Enzyme library, which layers React test utilities with easier API to check and assert results. 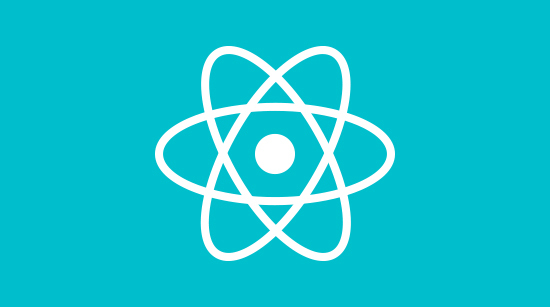 Hopefully these six React libraries will prove valuable in honing your development skills. What are some libraries you've found helpful? Let us know in the comments below.